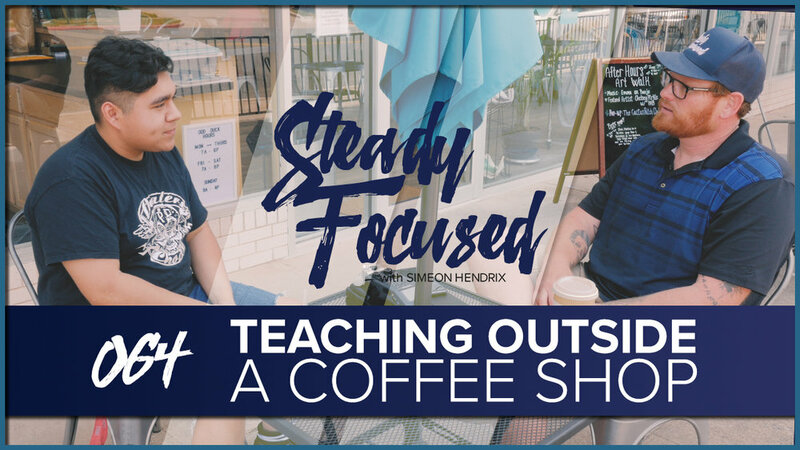 Simeon Hendrix shares what he knows about photography, social media and personal brand building with Steven Alex Garcia outside of Odd Duck Coffee in Downtown, Wichita Falls, Texas. Wichita Falls Artist Teaches How To Leverage Social Media, Making Money as a Photographer and Building a Personal Brand. The best way to learn, is to teach. I was honored when up and coming photographer Steven Alex Garcia reached and asked if he could take me to coffee (shout out to Odd Duck Coffee in Downtown Wichita Falls, Texas). He wanted to get my thoughts on how to make money as a photographer, building a personal brand, leveraging social media, the law of attraction, and much more. I turned the cameras on and recorded our lunch date as I knew this would be a valuable conversation. 02:15 - What made Steven want to reach out to me? 02:45 - How to start? How to actually get something out of our head and put it out there? A: Launch the plane - adjust mid flight. 07:30 - Preparing to go freelance, leaving Hoegger Communications. Accepting foreclosure on his house. Lowering expenses to survive. 08:40 - How did start personal brand? Early years of merchandising. 18:45 - Should you use Facebook? 23:00 - Making money as a photographer - How get paid? 5.) Do it. Fail. Do it. Evaluate. Do it. Adjust it. Keep moving.